Erik Homburger Erikson (born Erik Salomonsen; 15 June 1902 – 12 May 1994) was a German-American developmental psychologist and psychoanalyst known for his theory on psychological development of human beings. He may be most famous for coining the phrase identity crisis. His son, Kai T. Erikson, is a noted American sociologist. Despite lacking a bachelor's degree, Erikson served as a professor at prominent institutions, including Harvard, University of California (UC Berkeley), and Yale. A Review of General Psychology survey, published in 2002, ranked Erikson as the 12th most cited psychologist of the 20th century. Erikson's mother, Karla Abrahamsen, came from a prominent Jewish family in Copenhagen, Denmark. She was married to Jewish stockbroker Valdemar Isidor Salomonsen, but had been estranged from him for several months at the time Erik was conceived. Little is known about Erik's biological father except that he was a non-Jewish Dane. On discovering her pregnancy, Karla fled to Frankfurt am Main in Germany where Erik was born on 15 June 1902 and was given the surname Salomonsen. She fled due to conceiving Erik out of wedlock, and the identity of Erik's father was never made clear. Following Erik's birth, Karla trained to be a nurse and moved to Karlsruhe. In 1905 she married Erik's Jewish pediatrician, Theodor Homburger. In 1908, Erik Salomonsen's name was changed to Erik Homburger, and in 1911 he was officially adopted by his stepfather. Karla and Theodor told Erik that Theodor was his real father, only revealing him the truth in late childhood, something he remained bitter about all his life. The development of identity seems to have been one of Erikson's greatest concerns in his own life as well as in his theory. As an older adult, he wrote about his adolescent "identity confusion" in his European days. "My identity confusion", he wrote "[was at times on] the borderline between neurosis and adolescent psychosis." Erikson's daughter writes that her father's "real psychoanalytic identity" was not established until he "replaced his stepfather's surname [Homburger] with a name of his own invention [Erikson]." The change in last name occurred as he started his job at Yale, and the "Erikson" name was accepted by Erik's family when they became American citizens. It is said his children enjoyed the fact they would not be called "Hamburger" any longer. He was a tall, blond, blue-eyed boy who was raised in the Jewish religion. Due to these mixed identities, he was a target of bigotry by both Jewish and Scandinavian children. At temple school, his peers teased him for being Nordic; while at grammar school, he was teased for being Jewish. At Das Humanistische Gymnasium his main interests were art, history and languages, but he lacked a general interest in school and graduated without academic distinction. After graduation, instead of attending medical school, as his stepfather had desired, he attended art school in Munich, much to the likes of his mother and her friends, but soon dropped out. Uncertain about his vocation and his fit in society, Erikson began a lengthy period of roaming about Germany and Italy as a wandering artist with his childhood friend Peter Blos and others. For children from prominent German families taking a "wandering year" was not uncommon. During his travels he often sold or traded his sketches to people he met. Eventually, Erik realized he would never become a full-time artist and returned to Karlsruhe and became an art teacher. It is through this time at his teaching job that Erik was hired by an heiress to sketch and eventually tutor her children. Erik worked very well with these children and was eventually hired by many other families that were close to Anna and Sigmund Freud. During this period, which lasted till he was 25 years old, he continued to contend with questions about his father and competing ideas of ethnic, religious, and national identity. When Erikson was twenty-five, his friend Peter Blos invited him to Vienna to tutor art  at the small Burlingham-Rosenfeld School for children whose affluent parents were undergoing psychoanalysis by Sigmund Freud's daughter, Anna Freud. Anna noticed Erikson's sensitivity to children at the school and encouraged him to study psychoanalysis at the Vienna Psychoanalytic Institute, where prominent analysts August Aichhorn, Heinz Hartmann, and Paul Federn were among those who supervised his theoretical studies. He specialized in child analysis and underwent a training analysis with Anna Freud. Helene Deutsch and Edward Bibring supervised his initial treatment of an adult. In 1930 Erikson married Joan Mowat Serson, a Canadian dancer and artist whom Erikson had met at a dress ball. During their marriage Erikson converted to Christianity. In 1933, with Adolf Hitler's rise to power in Germany, the burning of Freud's books in Berlin and the potential Nazi threat to Austria, the family left an impoverished Vienna with their two young sons and emigrated to Copenhagen. Unable to regain Danish citizenship because of residence requirements, the family left for the United States, where citizenship would not be an issue. In the United States, Erikson became the first child psychoanalyst in Boston and held positions at Massachusetts General Hospital, the Judge Baker Guidance Center, and at Harvard Medical School and Psychological Clinic, establishing a singular reputation as a clinician. In 1936, Erikson left Harvard and joined the staff at Yale University, where he worked at the Institute of Social Relations and taught at the medical school. Erikson continued to deepen his interest in areas beyond psychoanalysis and to explore connections between psychology and anthropology. He made important contacts with anthropologists such as Margaret Mead, Gregory Bateson, and Ruth Benedict. Erikson said the development of thought derived from his social and cultural studies. In 1938, he left Yale to study the Sioux tribe in South Dakota on their reservation. After his studies in South Dakota he traveled to California to study the Yurok tribe. Erikson discovered differences between the children of the Sioux and Yurok tribe. This also marked the beginning of Erikson's life passion of showing the importance of events in childhood and how society affects them. He returned to Harvard in the 1960s as a professor of human development and remained there until his retirement in 1970. In 1973 the National Endowment for the Humanities selected Erikson for the Jefferson Lecture, the United States' highest honor for achievement in the humanities. Erikson's lecture was titled Dimensions of a New Identity. Erikson is also credited with being one of the originators of ego psychology, which stressed the role of the ego as being more than a servant of the id. Although Erikson accepted Freud's theory, he did not focus on the parent-child relationship and gave more importance to the role of the ego, particularly the person's progression as self. According to Erikson, the environment in which a child lived was crucial to providing growth, adjustment, a source of self-awareness and identity. Erikson won a Pulitzer Prize and a US National Book Award in category Philosophy and Religion for Gandhi's Truth (1969), which focused more on his theory as applied to later phases in the life cycle. Favorable outcomes of each stage are sometimes known as virtues, a term used in the context of Erikson's work as it is applied to medicine, meaning "potencies". These virtues are also interpreted to be the same as "strengths", which are considered inherent in the individual life cycle and in the sequence of generations. Erikson's research suggests that each individual must learn how to hold both extremes of each specific life-stage challenge in tension with one another, not rejecting one end of the tension or the other. Only when both extremes in a life-stage challenge are understood and accepted as both required and useful, can the optimal virtue for that stage surface. Thus, 'trust' and 'mis-trust' must both be understood and accepted, in order for realistic 'hope' to emerge as a viable solution at the first stage. Similarly, 'integrity' and 'despair' must both be understood and embraced, in order for actionable 'wisdom' to emerge as a viable solution at the last stage. Hope, Basic trust vs. basic mistrust—This stage covers the period of infancy, 0–18 months, which is the most fundamental stage of life. Whether the baby develops basic trust or basic mistrust is not merely a matter of nurture. It is multi-faceted and has strong social components. It depends on the quality of the maternal relationship. The mother carries out and reflects their inner perceptions of trustworthiness, a sense of personal meaning, etc. on the child. An important part of this stage is providing stable and constant care of the infant. This helps the child develop trust that can transition into relationships other than parental. Additionally, they develop trust in others to support them. If successful in this, the baby develops a sense of trust, which "forms the basis in the child for a sense of identity." Failure to develop this trust will result in a feeling of fear and a sense that the world is inconsistent and unpredictable. Purpose, Initiative vs. Guilt—Preschool / 3–5 years. Does the child have the ability to do things on their own, such as dress him or herself? Children in this stage are interacting with peers, and creating their own games and activities. If allowed to make these decisions, the child will develop confidence in their ability to lead others. If the child is not allowed to make certain decisions the sense of guilt develops. Guilt in this stage is characterized by a sense of being a burden to others, and will therefore usually present themselves as a follower. Additionally, the child is asking many questions to build knowledge of the world. If the questions earn responses of critic the child will also develop feelings of guilt. Success in this stage leads to the virtue of purpose, which is the normal balance between the two extremes. Competence, Industry vs. Inferiority—School-age / 6–11 years. Child comparing self-worth to others (such as in a classroom environment). Child can recognize major disparities in personal abilities relative to other children. Erikson places some emphasis on the teacher, who should ensure that children do not feel inferior. During this stage the child's friend group increases in importance in their life. Often during this stage the child will try to prove competency with things rewarded in society, and also develop satisfaction with their abilities. Encouraging the child increases feelings of adequacy and competency in ability to reach goals. Restriction from teachers or parents leads to doubt, questioning, and reluctance in abilities and therefore may not reach full capabilities. Competence, the virtue of this stage, is developed when a healthy balance between the two extremes is reached. Fidelity, Identity vs. Role Confusion—Adolescent / 12–18 years. Questioning of self. Who am I, how do I fit in? Where am I going in life? The adolescent is exploring and seeking for their own unique identity. This is done by looking at personal beliefs, goals, and values. The morality of the individual is also explored and developed. Erikson believes, that if the parents allow the child to explore, they will conclude their own identity. If, however, the parents continually push him/her to conform to their views, the teen will face identity confusion. The teen is also looking towards the future in terms of employment, relationships, and families. Learning the roles they provide in society is essential since the teen begins the desire to fit in to society. Fidelity is characterized by the ability to commit to others and acceptance of others even with differences. Identity crisis is the result of role confusion and can cause the adolescent to try out different lifestyles. Love, Intimacy vs. isolation—This is the first stage of adult development. This development usually happens during young adulthood, which is between the ages of 18 to 40. Dating, marriage, family and friendships are important during the stage in their life. This is due to the increase in the growth of intimate relationships with others. By successfully forming loving relationships with other people, individuals are able to experience love and intimacy.They also feel safety, care, and commitment in these relationships. Furthermore, if individuals are able to successfully resolve the crisis of intimacy versus isolation, they are able to achieve the virtue of love. Those who fail to form lasting relationships may feel isolated and alone. Care, Generativity vs. stagnation—The second stage of adulthood happens between the ages of 40-65. During this time people are normally settled in their life and know what is important to them. A person is either making progress in their career or treading lightly in their career and unsure if this is what they want to do for the rest of their working lives. Also during this time, a person is enjoying raising their children and participating in activities, that gives them a sense of purpose. This is one way of contributing to society along with productivity at work and involvement in community activities and organizations. If a person is not comfortable with the way their life is progressing, they're usually regretful about the decisions that they have made in the past and feel a sense of uselessness. Wisdom, Ego integrity vs. despair—This stage affects the age group of 65 and on. During this time an individual has reached the last chapter in their life and retirement is approaching or has already taken place. Ego-integrity means the acceptance of life in its fullness: the victories and the defeats, what was accomplished and what was not accomplished. Wisdom is the result of successfully accomplishing this final developmental task. Wisdom is defined as "informed and detached concern for life itself in the face of death itself." Having a guilty conscience about the past or failing to accomplish important goals will eventually lead to depression and hopelessness. Achieving the virtue of the stage involves the feeling of living a successful life. On ego identity versus role confusion—ego identity enables each person to have a sense of individuality, or as Erikson would say, "Ego identity, then, in its subjective aspect, is the awareness of the fact that there is a self-sameness and continuity to the ego's synthesizing methods and a continuity of one's meaning for others". Role confusion, however, is, according to Barbara Engler, "the inability to conceive of oneself as a productive member of one's own society." This inability to conceive of oneself as a productive member is a great danger; it can occur during adolescence, when looking for an occupation. The Eriksons had three children, the eldest of whom is the sociologist Kai T. Erikson. Their daughter, Sue Erikson Bloland, "an integrative psychotherapist and psychoanalyst", described her father as plagued by "lifelong feelings of personal inadequacy". He thought that by combining resources with his wife, he could "achieve the recognition" that might produce a feeling of adequacy. Erikson died on 12 May 1994 in Harwich, Massachusetts. He and his wife are buried in the First Congregational Church Cemetery in Harwich. ^ a b c "Erik Erikson, 91, Psychoanalyst Who Reshaped Views of Human Growth, Dies". The New York Times. 13 March 1994. Retrieved 19 October 2017. ^ a b Burston 2007, p. 93. ^ Stevens 2008, p. 109. ^ McLeod, Saul (2017) . "Erik Erikson". Simply Psychology. Retrieved 20 October 2017. ^ Heathcoate 2010, p. 257. ^ Eckenfels 2008, p. vii. ^ Ireland, Corydon (17 October 2013). "Howard Gardner: 'A Blessing of Influences'". Harvard Gazette. Cambridge, Massachusetts: Harvard University. Retrieved 20 October 2017. ^ a b c d e f g "Erik Erikson". Encyclopedia. 2018. ^ Haggbloom et al. 2002. ^ Friedman 2000, p. 29. ^ "Erik H. Erikson". Sweet Briar, Virginia: Sweet Briar College. Archived from the original on 15 May 2013. Retrieved 30 August 2013. ^ Erikson Bloland 2005, pp. 62, 64. ^ Hoare 2002, p. 8. ^ a b Stevens 1983, ch. 1. ^ Hoare 2002, pp. 8–9. ^ a b Hoare 2002, p. 9. ^ "Erik H. Erikson". Erikson Institute. Retrieved 3 April 2016. ^ Stevens 2008, p. 8. ^ Schlein, Stephen, ed. (2009) . "Stephen Schlein Erik Erikson Papers". Cambridge, Massachusetts: Harvard University. Retrieved 11 March 2014. ^ a b Thomas, Robert McG., Jr. (8 August 1997). "Joan Erikson Is Dead at 95; Shaped Thought on Life Cycles". The New York Times. Retrieved 30 August 2013. ^ Engler 2008, p. 151; Fadiman & Frager 2002, p. 208. ^ Hoare 2002, p. 10. ^ Hoare 2002, p. 11. ^ "On this Day". New York Times. 2010. ^ Boeree, C. George (2006) . "Erik Erikson, 1902–1994". Shippensburg, Pennsylvania: Shippensburg University. Retrieved 30 August 2013. ^ Friedman 2000, pp. 253, 261–262. ^ Stade, George (19 May 1976). "Byways of Our National Character". The New York Times. Retrieved 19 October 2017. ^ Bynum-Grant, Daminga; Travis-Dinkins, Margaret (2010). Schaum's Outline of Psychiatric Nursing. New York: McGraw Hill Professional. p. 8. ISBN 9780071623643. ^ "1970 Pulitzer Prizes". The Pulitzer Prizes. New York: Columbia University. Retrieved 20 October 2017. ^ "National Book Awards – 1970". New York: National Book Foundation. Retrieved 8 March 2012. ^ Capps, Donald (2014). Erik Erikson's Verbal Portraits: Luther, Gandhi, Einstein, Jesus. Lanham, MD: Rowman & Littlefield. p. 106. ISBN 9781442241510. ^ a b c d e f g h i j McLeod, Saul (2017). "Erik Erikson". Simply Psychology. ^ Hutchison, Elizabeth (2007). Dimensions of Human Behavior: The Changing Life Course. Thousand Oaks, CA: SAGE Publications. p. 290. ISBN 9781412941266. ^ Erikson & Erikson 1997, p. 61. ^ Erikson, Erik H. (1963). Childhood and Society (2nd ed.). New York: W. W. Norton & Company. Cited in Engler 2014, p. 142. ^ Engler 2014, p. 143. ^ Erikson Bloland, Sue (2015). "Show Me a Hero and I Will Write You a Tragedy". New Philosopher. No. 10. Interviewed by Boag, Zan. ISSN 2201-7151. Retrieved 20 October 2017. ^ Leiter, Robert (29 November 1999). "The Corrosive Nature of Fame". Jewish World Review. Retrieved 20 October 2017. ^ Erikson Bloland 2005, pp. 67. ^ "Erik Homburger Erikson". Find A Grave. Retrieved 6 December 2015. Arnett, Jeffrey Jensen (2000). "Emerging Adulthood: A Theory of Development from the Late Teens Through the Twenties". American Psychologist. 55 (5): 469–480. CiteSeerX 10.1.1.462.7685. doi:10.1037/0003-066x.55.5.469. ISSN 1935-990X. Burston, Daniel (2007). Erik Erikson and the American Psyche: Ego, Ethics, and Evolution. Lanham, Maryland: Jason Aronson. ISBN 978-0-7657-0495-5. Eckenfels, Edward J. (2008). Doctors Serving People: Restoring Humanism to Medicine through Student Community Service. New Brunswick, New Jersey: Rutgers University Press. ISBN 978-0-8135-4315-4. Engler, Barbara (2008). Personality Theories: An Introduction (8th ed.). Belmont, California: Wadsworth Publishing. ISBN 978-0-547-14834-2. ——— (2014). Personality Theories: An Introduction (9th ed.). Belmont, California: Wadsworth Publishing. ISBN 978-1-285-08880-8. Erikson, Erik H. (1974). Dimensions of a New Identity. Jefferson Lectures in the Humanities. New York: W. W. Norton & Company. ISBN 978-0-393-00923-1. Erikson, Erik H.; Erikson, Joan M. (1997). The Life Cycle Completed (extended ed.). New York: W. W. Norton & Company (published 1998). ISBN 978-0-393-34743-2. Erikson Bloland, Sue (2005). In the Shadow of Fame: A Memoir by the Daughter of Erik H. Erikson. New York: Viking Press. ISBN 978-0-670-03374-4. Fadiman, James; Frager, Robert (2002). Personality and Personal Growth (5th ed.). Upper Saddle River, New Jersey: Prentice Hall. ISBN 978-0-13-040961-4. Friedman, Lawrence Jacob (2000). Identity's Architect: A Biography of Erik H. Erikson. Cambridge, Massachusetts: Harvard University Press. ISBN 978-0-674-00437-5. Haggbloom, Steven J.; Warnick, Renee; Warnick, Jason E.; Jones, Vinessa K.; Yarbrough, Gary L.; Russell, Tenea M.; Borecky, Chris M.; McGahhey, Reagan; Powell, John L., III; Beavers, Jamie; Monte, Emmanuelle (2002). "The 100 Most Eminent Psychologists of the 20th Century". Review of General Psychology. 6 (2): 139–152. doi:10.1037/1089-2680.6.2.139. ISSN 1939-1552. Retrieved 20 October 2017. Heathcoate, Ann (2010). "Eric Berne's Development of Ego State Theory: Where Did It All Begin and Who Influenced Him?" (PDF). Transactional Analysis Journal. 40 (3–4): 254–260. doi:10.1177/036215371004000310. ISSN 2329-5244. Retrieved 20 October 2017. Hoare, Carol Hren (2002). Erikson on Development in Adulthood: New Insights from the Unpublished Papers. New York: Oxford University Press. ISBN 978-0-19-513175-8. Paranjpe, Anand C. (2005). "Erikson, Erik Homburger". In Shook, John R. (ed.). The Dictionary of Modern American Philosophers. 2. Bristol, England: Thoemmes Continuum. pp. 734–737. doi:10.1093/acref/9780199754663.001.0001. ISBN 978-1-84371-037-0. Stevens, Richard (1983). Erik Erikson: An Introduction. New York: St. Martin's Press. ISBN 978-0-312-25812-2. ——— (2008). Erik H. Erikson: Explorer of Identity and the Life Cycle. Basingstoke, England: Palgrave Macmillan. ISBN 978-1-4039-9986-3. Andersen, D. C. (1993). "Beyond Rumor and Reductionism: A Textual Dialogue with Erik H. Erikson". The Psychohistory Review. 22 (1): 35–68. ISSN 0363-891X. PMID 11623368. Bondurant, Joan V.; Fisher, Margaret W.; Sutherland, J. D. (1971). "Gandhi: A Psychoanalytic View". Review of Gandhi's Truth: On the Origins of Militant Nonviolence by Erikson, Erik H. The American Historical Review. 76 (4): 1104–1115. doi:10.2307/1849243. ISSN 0002-8762. JSTOR 1849243. Brenman-Gibson, Margaret (1997). "The Legacy of Erik Hamburger Erikson". Psychoanalytic Review. 84 (3): 329–335. ISSN 0033-2836. PMID 9279928. Capps, Donald; Capps, Walter H.; Bradford, M. Gerald, eds. (1977). Encounter with Erikson: Historical Interpretation and Religious Biography. Missoula, Montanta: Scholars Press. Carney, J. E. (1993). "'Is It Really So Terrible Her? ': Karl Menninger's Pursuit of Erik Erikson". The Psychohistory Review. 22 (1): 119–153. ISSN 0363-891X. PMID 11623367. Coles, Robert (1970). Erik H. Erikson: The Growth of His Work. Boston: Little, Brown and Company. OCLC 898775065. Coles, Robert; Fitzpatrick, J. J. (1976). "The Writings of Erik H. Erikson". The Psychohistory Review. 5 (3): 42–46. ISSN 0363-891X. PMID 11615801. Crunden, Robert M. (1973). "Freud, Erikson, and the Historian: A Bibliographical Survey". Canadian Review of American Studies. 4 (1): 48–64. doi:10.3138/CRAS-004-01-04. ISSN 0007-7720. PMID 11634791. Douvan, Elizabeth (1997). "Erik Erikson: Critical Times, Critical Theory". Child Psychiatry and Human Development. 28 (1): 15–21. doi:10.1023/A:1025188901554. ISSN 1573-3327. PMID 9256525. Eagle, Morris (1997). "Contributions of Erik Erikson". Psychoanalytic Review. 84 (3): 337–347. ISSN 0033-2836. PMID 9279929. Elms, Alan C. (2008). "Erikson, Erik Homburger". In Koertge, Noretta (ed.). New Dictionary of Scientific Biography. 2. Farmington Hills, Michigan: Gale Group. pp. 406–412. ISBN 978-0-684-31322-1. Evans, Richard I. (1967). Dialogue with Erik Erikson. New York: E. P. Dutton & Co.
Fitzpatrick, J. J. (1976). "Erik H. Erikson and Psychohistory". Bulletin of the Menninger Clinic. 40 (4): 295–314. ISSN 0025-9284. PMID 791417. Goethals, George W. (1976). "The Evolution of Sexual and Genital Intimacy: A Comparison of the Views of Erik H. Erikson and Harry Stack Sullivan". The Journal of the American Academy of Psychoanalysis. 4 (4): 529–544. doi:10.1521/jaap.1.1976.4.4.529. ISSN 1546-0371. Hoffman, L. E. (1993). "Erikson on Hitler: The Origins of 'Hitler's Imagery and German Youth'". The Psychohistory Review. 22 (1): 69–86. ISSN 0363-891X. PMID 11623369. Masson, J. L. (1974). "India and the Unconscious: Erik Erikson on Gandhi". The International Journal of Psycho-Analysis. 55 (4): 519–529. ISSN 1745-8315. PMID 4616017. Roazen, Paul (1976). Erik H. Erikson: The Power and Limits of a Vision. New York: Free Press. ——— (1993). "Erik H. Erikson as a Teacher". The Psychohistory Review. 22 (1): 101–117. ISSN 0363-891X. PMID 11623366. Schnell, R. L. (1980). "Contributions to Psychohistory: IV. Individual Experience in Historiography and Psychoanalysis: Significance of Erik Erikson and Robert Coles". Psychological Reports. 46 (2): 591–612. doi:10.2466/pr0.1980.46.2.591. ISSN 0033-2941. PMID 6992185. Strozier, Charles B. (1976). "Disciplined Subjectivity and the Psychohistorian: A Critical Look at the Work of Erik H. Erikson". The Psychohistory Review. 5 (3): 28–31. ISSN 0363-891X. PMID 11615797. Wallerstein, Robert S.; Goldberger, Leo, eds. (1998). Ideas and Identities: The Life and Work of Erik Erikson. Madison, Connecticut: International Universities Press. ISBN 978-0-8236-2445-4. Weiner, M. B. (1979). "Caring for the Elderly. Psychological Aging: Aspects of Normal Personality and Development in Old Age. Part II. Erik Erikson: Resolutions of Psychosocial Tasks". The Journal of Nursing Care. 12 (5): 27–28. PMID 374748. Welchman, Kit (2000). Erik Erikson: His Life, Work, and Significance. Buckingham, England: Open University Press. ISBN 978-0-335-20157-0. Wurgaft, Lewis D. (1976). "Erik Erikson: From Luther to Gandhi". Psychoanalytic Review. 63 (2): 209–233. ISSN 0033-2836. PMID 788015. Zock, Hetty (2004). A Psychology of Ultimate Concern: Erik H. Erikson's Contribution to the Psychology of Religion (2nd ed.). Amsterdam: Rodopi. ISBN 978-90-5183-180-1. 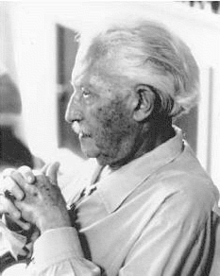 Wikimedia Commons has media related to Erik Erikson.